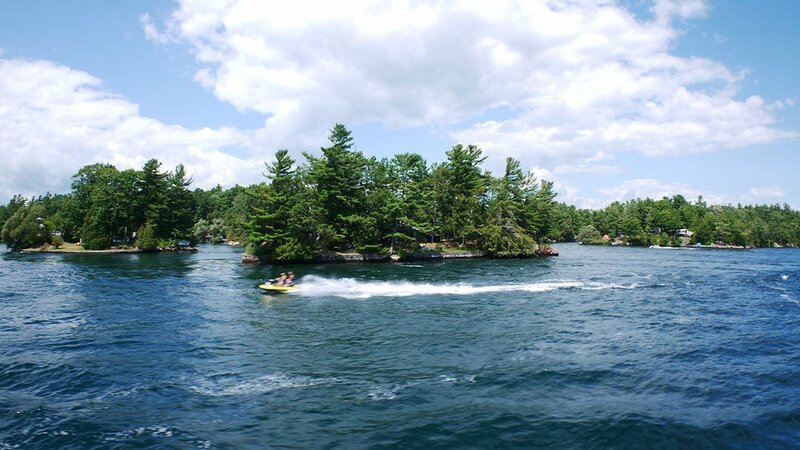 Experience the Majestic 1000 Islands by Land, Water and Air! 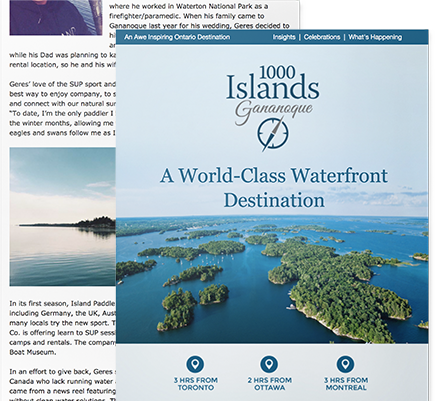 Welcome back, to the next story in our series of signature experience blogs with 1000 Islands, Gananoque. So far, we’ve been having the time of our lives. 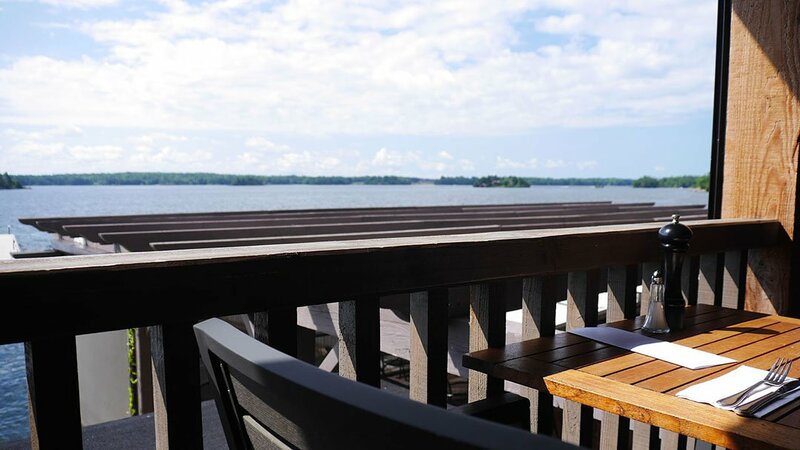 We’ve come face to face with the mighty St. Lawrence River, explored Gananoque’s flourishing culinary, artistic and cultural sides – and the best part is, we’re just getting started. 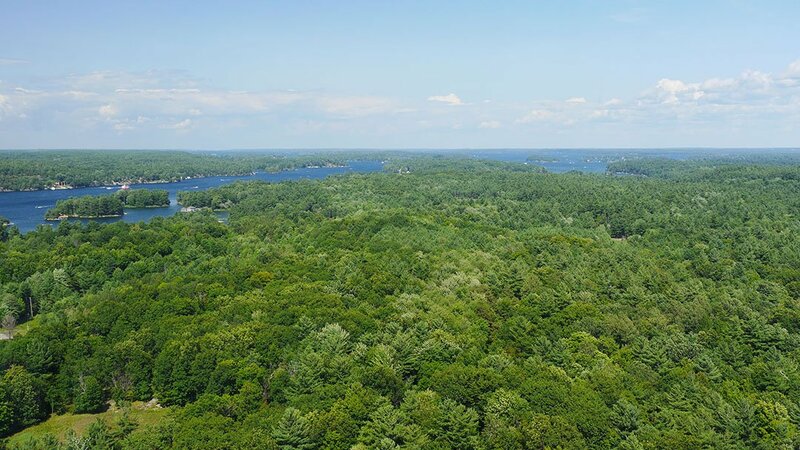 For the fifth chapter of our eight-part story, Heidi and I decided that we wanted to really show off the pure spellbinding beauty of the 1000 Islands. We also wanted to kick things up a notch and take our latest adventure to the next level. Or should I say, a new altitude? To get our story off to a proper start, we headed to the legendary Ivy Lea Club, a famous riverside estate that was once the prominent and storied Ivy Lea Inn. 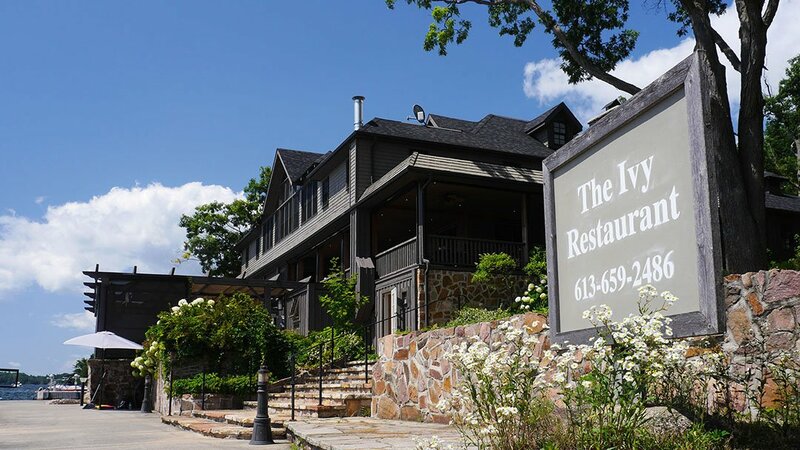 The magnificent restaurant building was once the inn, first built in the 1800’s by Captain Elisha Visger of Alexandria Bay, New York. 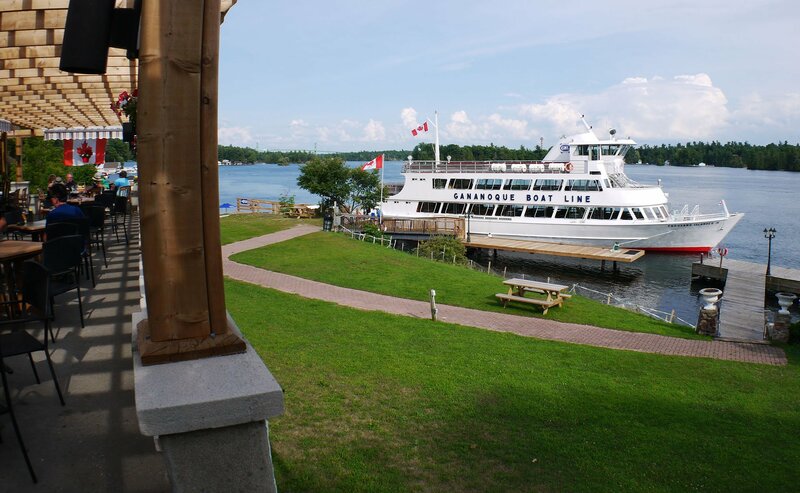 Originally, the earliest hotels between Gananoque and Ivy Lea were built to accommodate fishermen, who would rather sleep closer to the water than travel to their respective home port. Naturally, the region grew in popularity as a tourism destination, and the luxurious and legendary lifestyle and culture of “life on the river” quickly blossomed. Today, the spirit of that fabled river hospitality is alive and well at the illustrious Ivy Lea Restaurant. As we walked from our parking spot along the pathways leading to the restaurant the air was filled with the intoxicating smells of flowers in full bloom, mixed with the scintillating scent of pancakes. 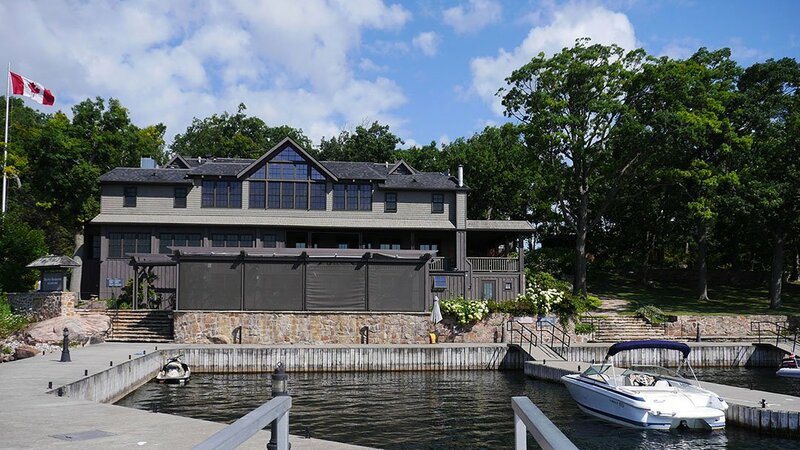 The former inn stands proudly at the river’s edge with an air of prominence and tenure. In the gardens that hug the building, there is an array of flowers growing, in addition to the club’s namesake as shimmering vines of ivy embrace the charming and historic house. It’s fascinating to think that we were standing where countless travellers have stepped for over a century – each coming to marvel at the sheer beauty of the river beyond. Once we entered the restaurant we were shown to our table on the balcony overlooking the docks and an arresting view of the water. As it happens, we had chosen a great time to visit the Ivy Lea Restaurant, as it was Sunday morning and we were among the first to arrive for the Ivy Lea Club’s famous brunch buffet. When we went back inside to review the spread of food, it took every effort to prevent my jaw from hitting the floor. All manner of delights were arranged out in a spread of charcuterie boards, salads, pastries and beyond. There were also hot food items, including steamed mussels, roast chicken breast portions with melted brie and what appeared to be a red pepper or citrus jelly. 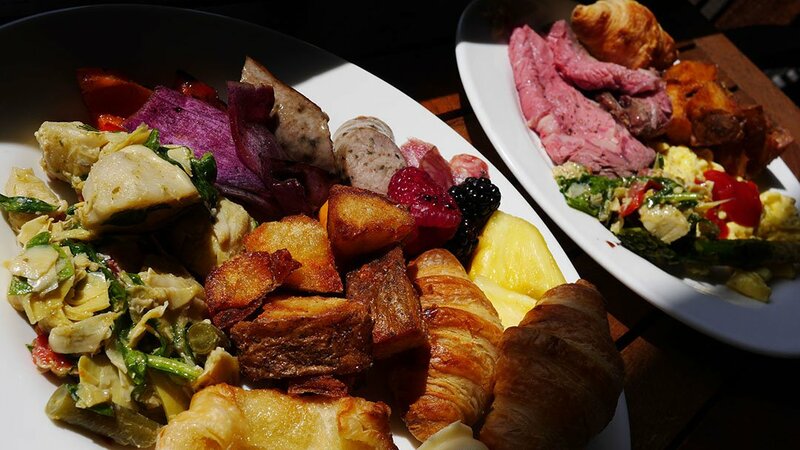 All the expected brunch-bases were covered – including a full-service omelette bar and a juicy looking prime rib that had caught my eye the moment I set eyes upon this beautiful bounty of breakfasty goodness. 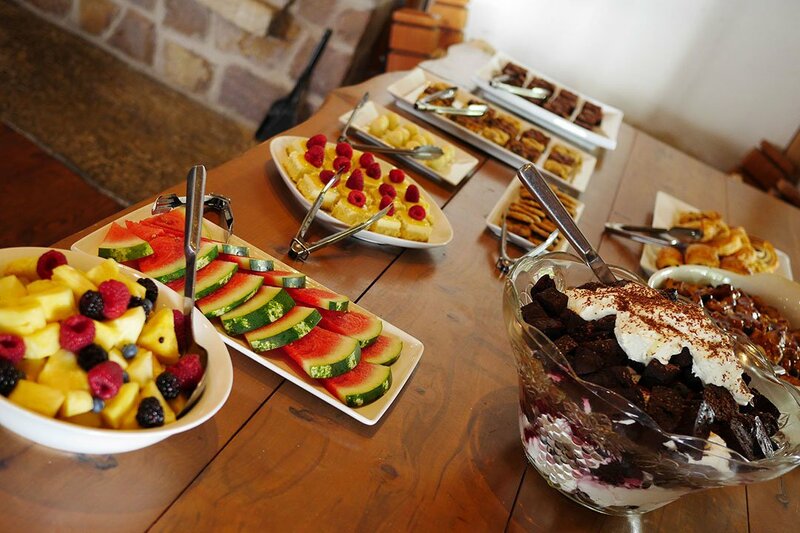 With the first arrangement of food that Heidi plated, she was thinking of pictures and created a beautiful array of buffet items including meat, fruit and a particularly amazing french toast made from banana bread. The next plate she assembled, was less about photos, however, she certainly managed to sample most of the delightfully crafted choices. I immediately hit up the omelette bar and asked for a small pile of freshly scrambled eggs to go with my small mountain of succulent roast beef. I chose to complement it with a pile of the tastiest artichoke salad I’ve had in recent memory along with some fruit, and roast potatoes. The prime rib was beyond expectation, and was so tender it practically melts in your mouth. Absolutely splendid. 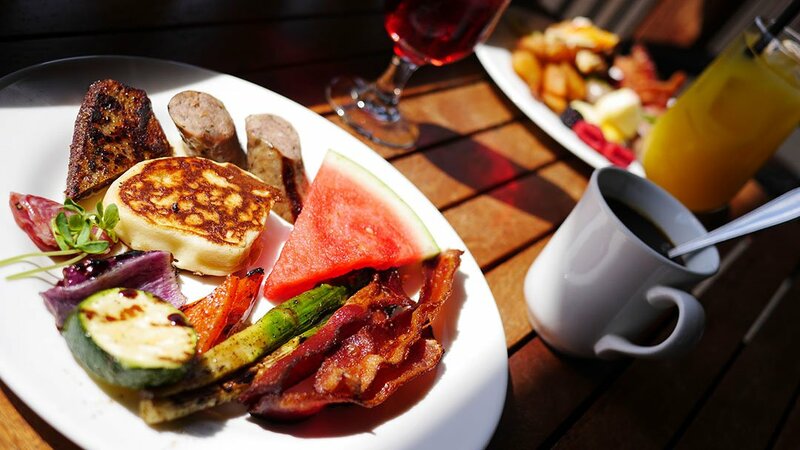 While I was happily enjoying my second plate, Heidi set out to explore her favourite part of a brunch – dessert. 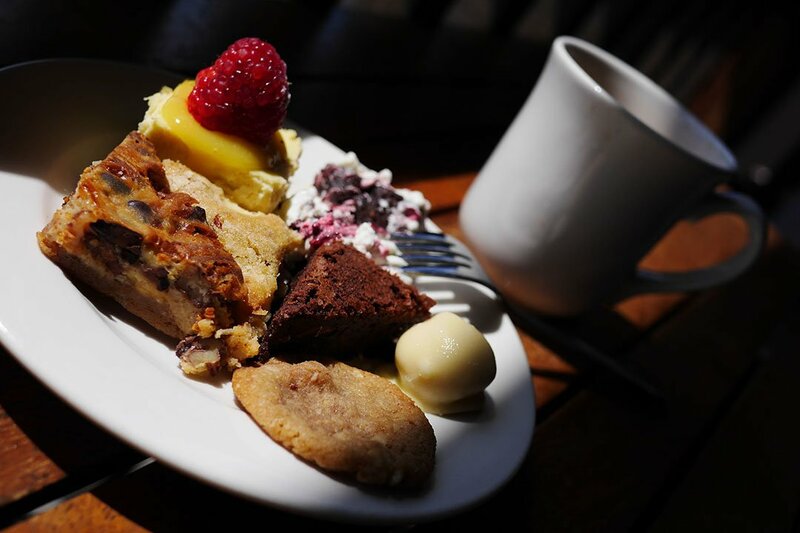 By the time I was finished demolishing my second plate of food, I was too full to dive into the dessert options, but I did taste a few of Heidi’s choices. What stood out the most was a creamy Black Forest souffle or mousse with rich and fresh whipped cream, cherries and bite-sized chunks of rich chocolate cake. In summary, we left the brilliant scenery and equally pleasing brunch absolutely satisfied and were already planning our next visit as we made our way to the gardens for a brief stroll before moving on. After brunch, it was time to take a last stroll through the wonderfully kept grounds surrounding the Ivy Restaurant. 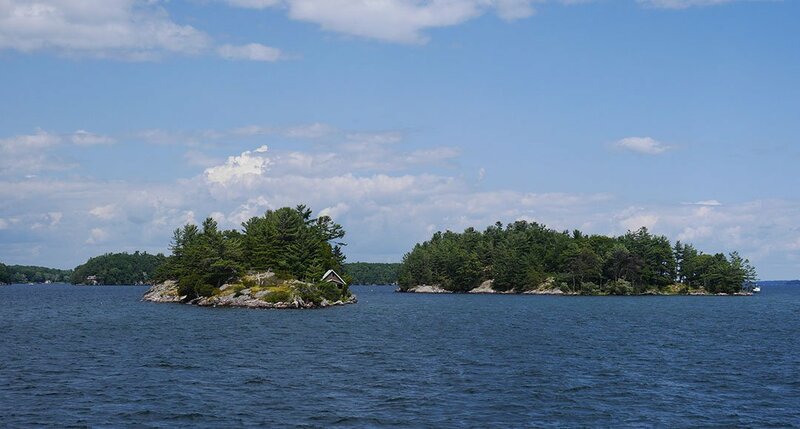 From the docks, you can see all the way to the 1000 Islands Bridge, Champagne Island, and the unmistakable spire of the 1000 Islands Tower reaching above the tree-line of Hill Island. The gardens are beautiful and only contribute to the memorable atmosphere of the entire property. 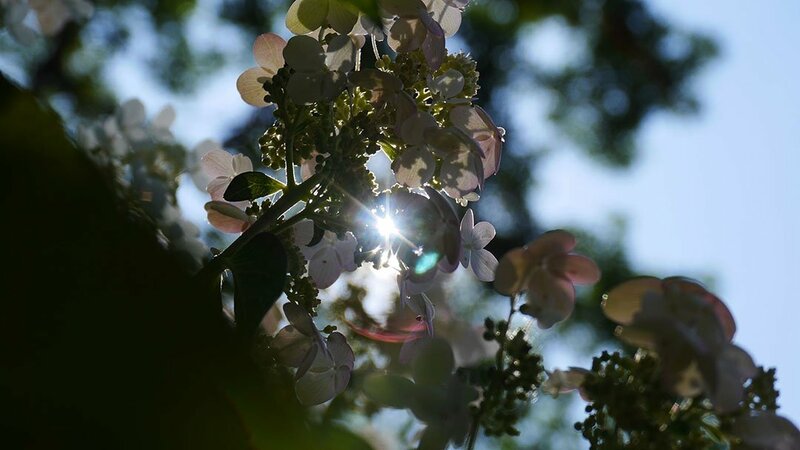 Several varieties of flowers are growing among the gardens and pathways including Hydrangeas, Lilies, and Bergamots to name but a few. It made for a most fitting and beautiful way to end our visit to the Ivy Lea Club. 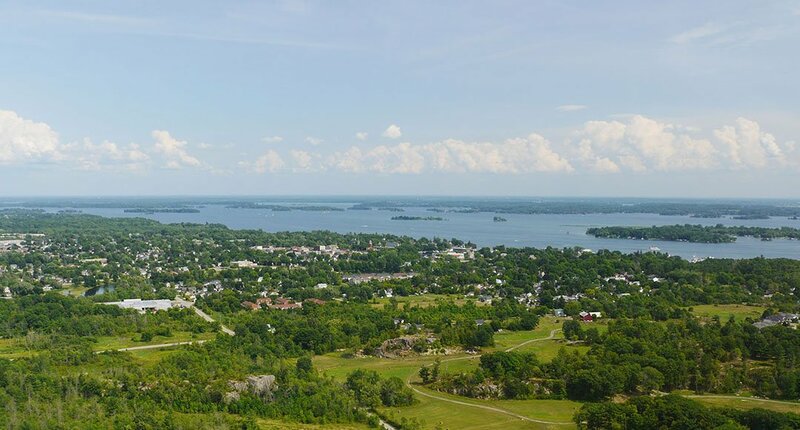 For our first attempt to capture the beauty of The St. Lawrence River, we decided returned to familiar territory atop the world famous 1000 Islands Tower. Heidi and I were talking about how visiting the tower at different times of day, and throughout the seasons will result in a brilliant variety of views that are technically never the same. Subtle changes in lighting, or the season and even weather will result in several astonishing perspectives. 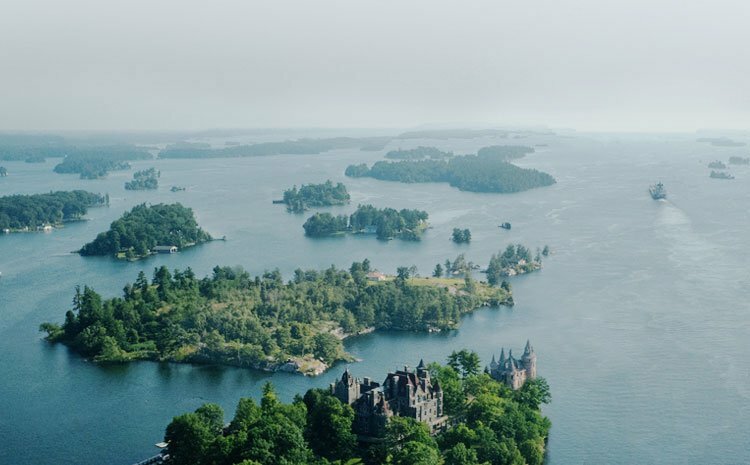 Once we reached the main observation deck it was abundantly clear the tower offers not only amazing views of the 1000 Islands region but a photographers playground. To give you an example of just how different the view can be – take a look at the pictures below. 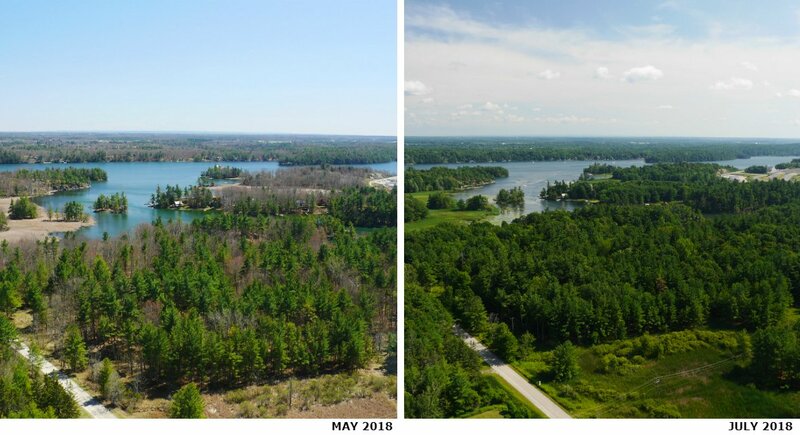 The shot on the left was taken at the end of May. The photo on the right was taken this summer. With summer in full swing, the surrounding landscapes stretched off into the horizon in all of their vibrant green and blue glory. A shimmering and radiant vision that no matter how many times I look upon it, it never gets old. 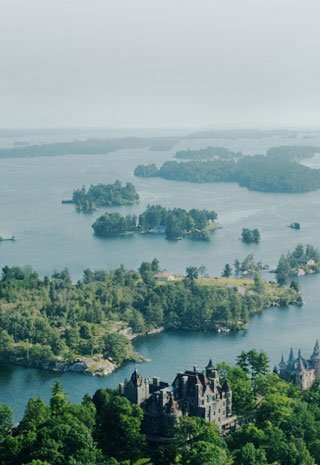 From the tower, you can literally watch the story of the 1000 Islands unfold as boats travel up and down the river, and cars pass on the road below. Each and every one of them off on their own adventures throughout this breathtaking region that I am so very proud to call my home – and to share with our readers. 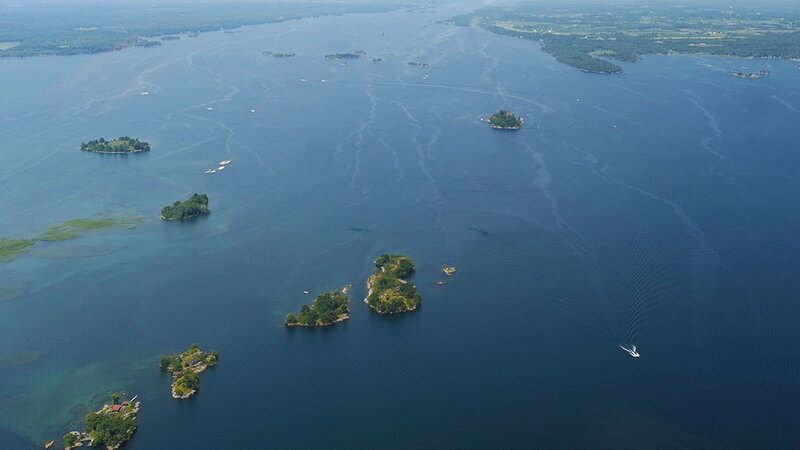 To truly appreciate the lay of the land, it’s also impossible to understand the diverse and intriguing history of The 1000 Islands and the origins of the region as we know it today. 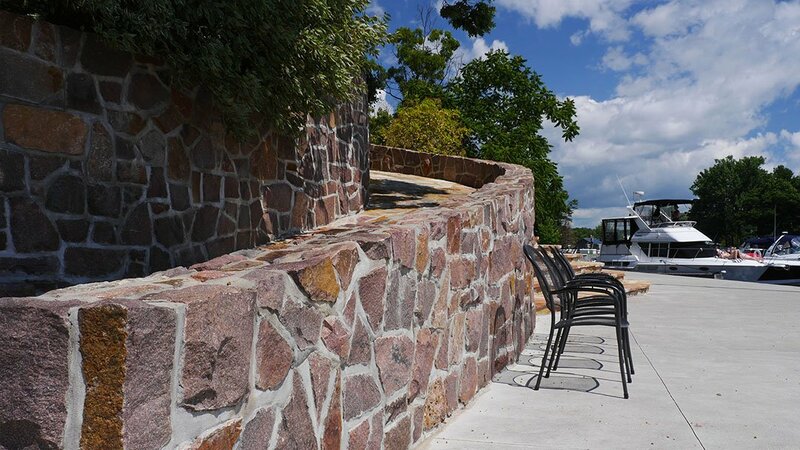 To get an up-close and personal look at the storied history of the region, we made the short drive along the 1000 Islands Parkway to explore The Arthur Child Heritage Museum in Gananoque. 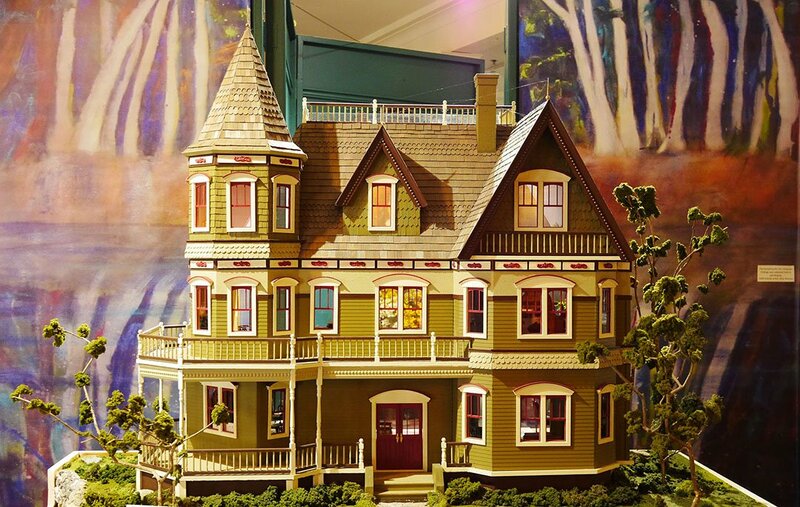 Situated on Water Street, and in what was once the main station for the Thousand Islands Railway, the Arthur Child is a wonderful celebration of 1000 Islands History and culture. Exhibits will walk visitors through the ages from the first indigenous humans who hunted and cultivated these lands to the tumultuous arrival of European settlers through to today. Museums like The Arthur Child serve as an important and detailed edification of that which came before, that illustrate the lessons that can be learned from the past – how they shaped the world we live in now – and most importantly how it’s knowledge can shape tomorrow. 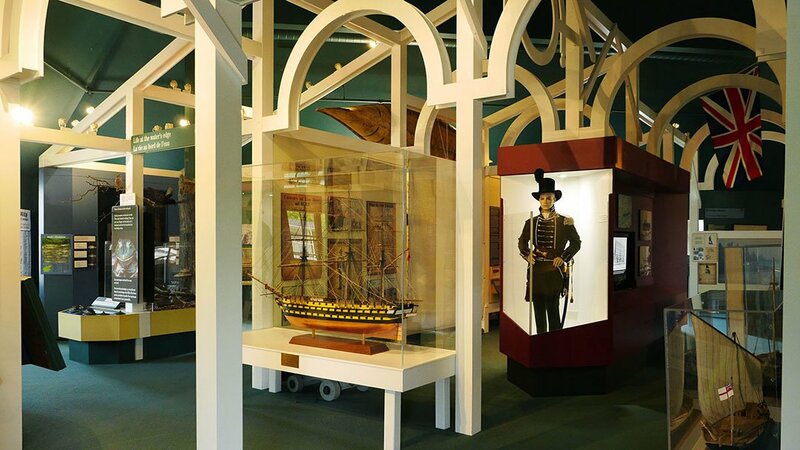 The Arthur Child Heritage Museum certainly delivers with its fascinating exhibits and well-presented artifacts that collectively tell the saga of The 1000 Islands. 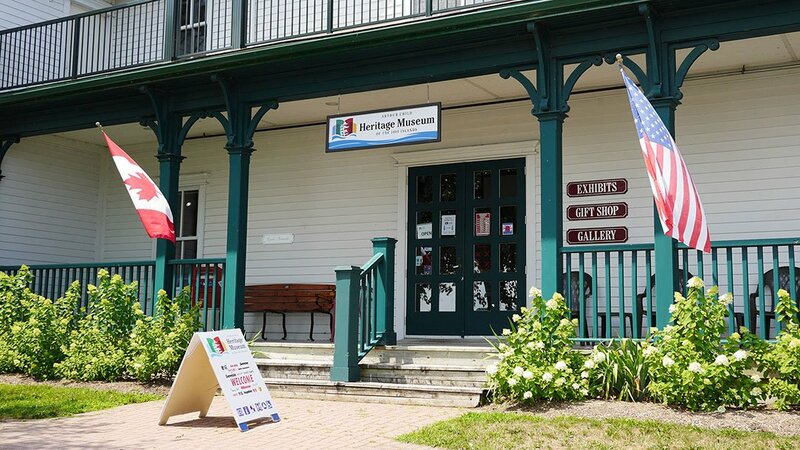 From pivotal chapters of history such as, The War of 1812 to the decadence of the Victorian Age, to the turn of the century, and the economic boons that placed Gananoque on the map – this museum offers visitors a brilliant stroll through the history and ecology of the region. 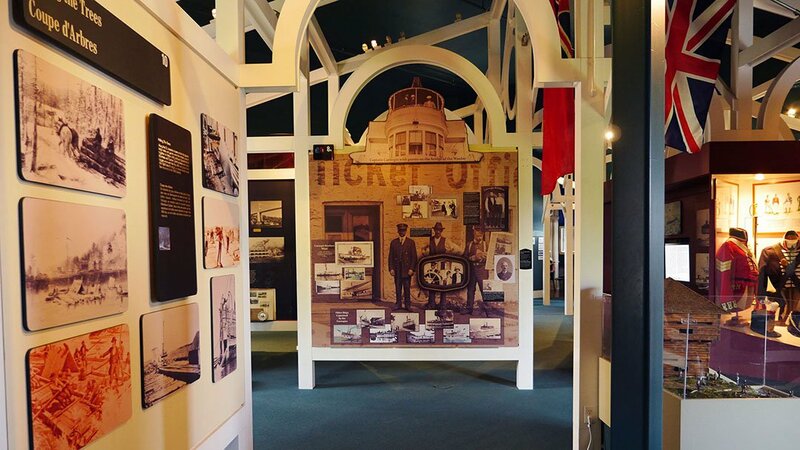 I highly recommend visiting the Arthur Child Heritage Museum, as it provides a detailed and educational glimpse into the region’s past and is also a great place for families. 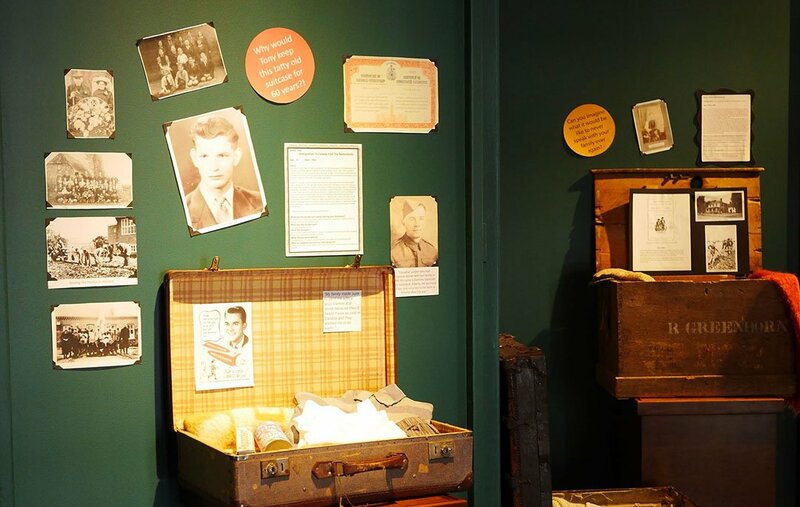 Little history buffs will likely have fun trying on a pint-sized British Military uniform and exploring other interactive exhibits. 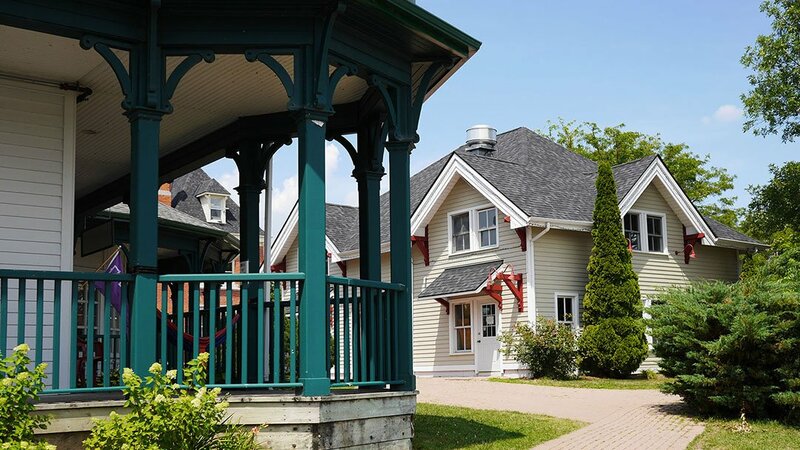 Before heading back to the car, it was hard to resist the opportunity to take a short walk through Gananoque’s waterfront Heritage Village and grab a quick snack. 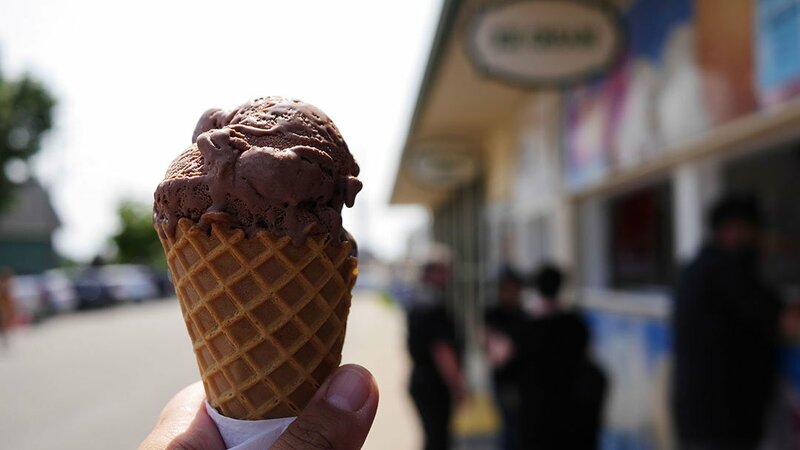 Right across the street was the Try a Swirl ice cream kiosk, which was conveniently located at The Gananoque Boat Line building – and we also spied a hot dog stand on the corner. The waterfront area was rather busy, with scores of visitors enjoying the sunshine. Several were enjoying picnics, while others were indulging in a freshly grilled hot dog. Well, as the saying goes: when in Rome… get a hotdog too. Or, something like that. Either way, it worked out in our favour. The only trouble is, that before Heidi could get a picture of my hot dog, it was gone. Oops. I was quick to buy Heidi an ice cream, which made for a most suitable peace offering. The age old Arnold Schwarzenegger line always pops into my head when I’m about to embark on a helicopter tour. 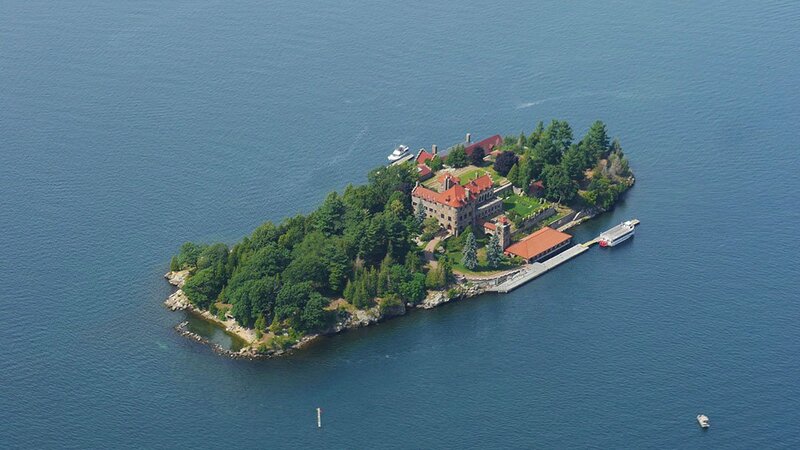 I’m also sure the guys at 1000 Islands Helicopter Tours never get sick of hearing it. The last time Heidi and I went on a helicopter tour was during the winter when we produced a feature article for TheGreatWaterway.com. 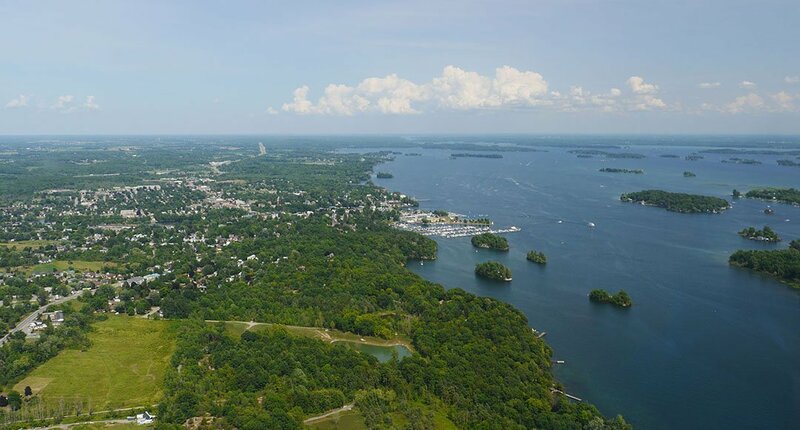 Much like our previous views from the tower, we’d be treated to a whole new world as we flew over Gananoque and The 1000 Islands during the height of summer. This is likely a good moment to thank our pilot, Aaron Spruyt for an amazing flight that day. 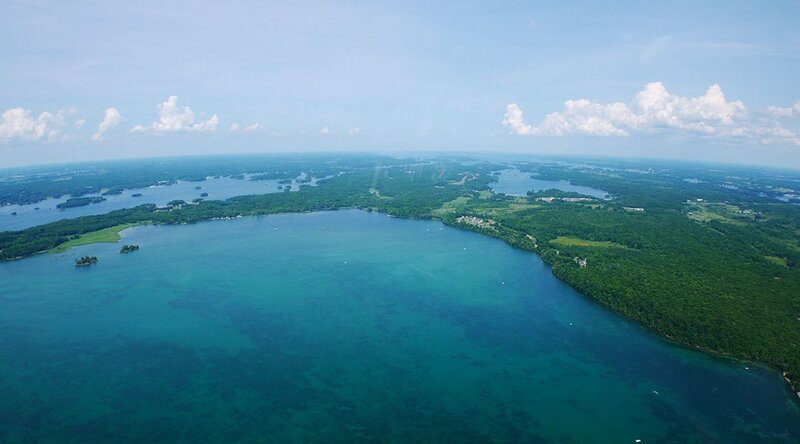 The tour that we took was the Aerial Views & Seaway Hues tour which would fly us over both Boldt and Singer Castles as well as several islands, and landmarks including the Sister’s Lighthouse and others. 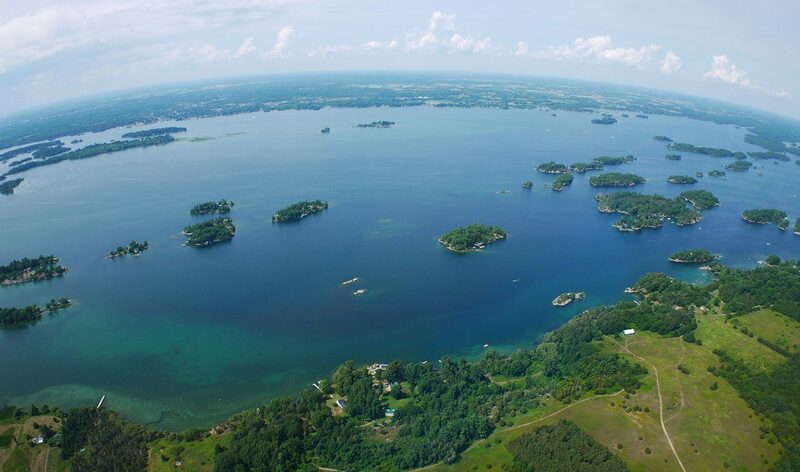 Seeing the 1000 Islands from the air is an experience all in itself. The thrill of flight, the awe-inspiring expanse of the region stretching out for as far as the eye can see. Viewing the world from above is another one of life’s more humbling moments, that truly adds perspective. Once you take to the sky you will feel the same excitement that that was once a driving force behind our species’ desire to achieve flight technology in the first place. Up here, you are truly free. 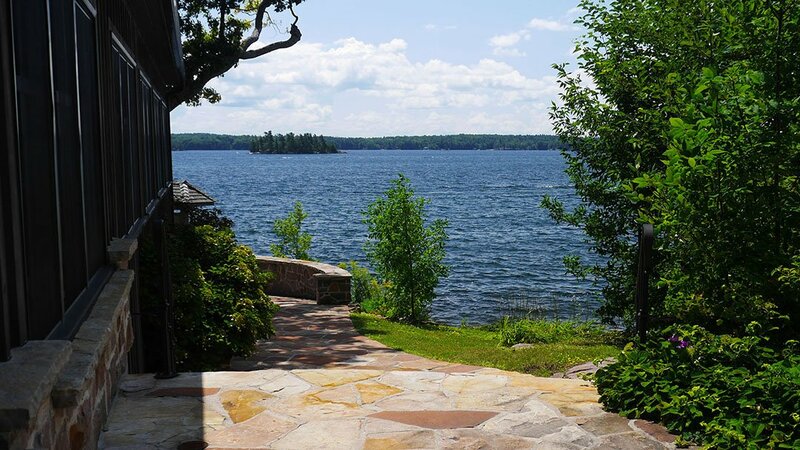 After safely returning to ground-level we took another scenic drive along the magnificent 1000 islands Parkway and returned to Ivy Lea. We had already taken care of the land – and air portions of our goal. 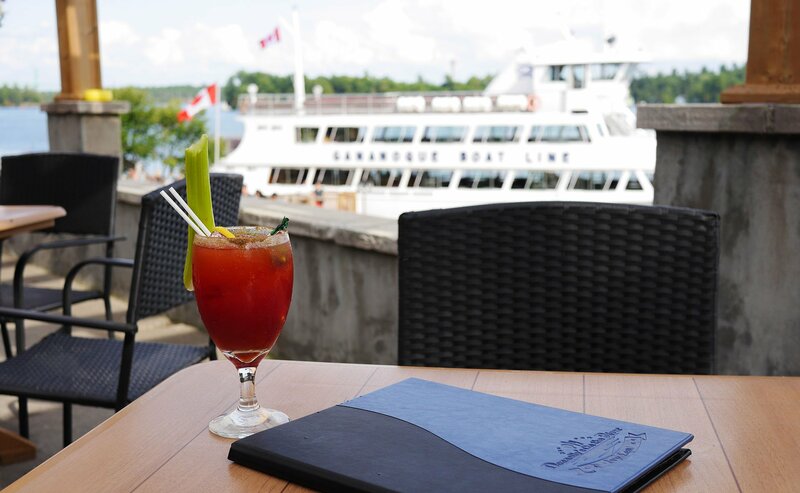 Now, it was time to take a breathtaking ride on Gananoque Boat Line’s signature Ivy Lea Cruise. 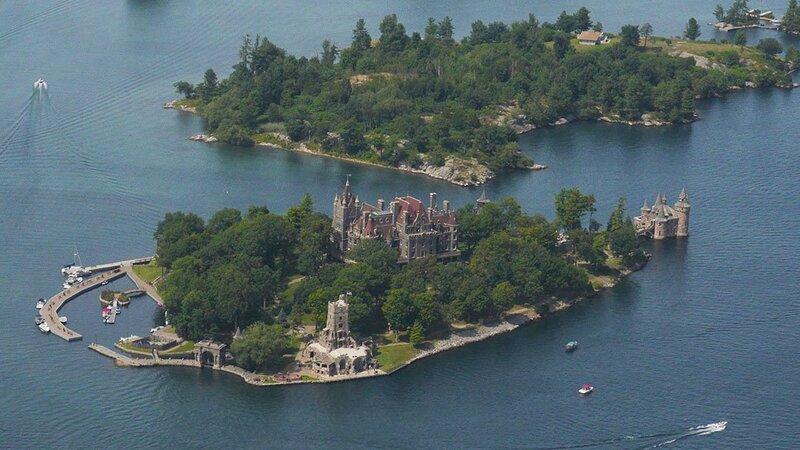 This one hour voyage would allow us to experience the 1000 Islands and get a closer look at Boldt Castle. 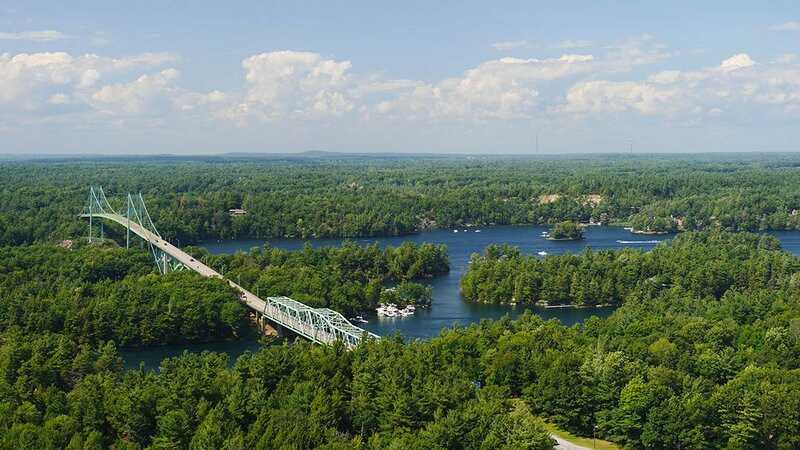 We’d also pass beneath the impressive 1000 Islands International Bridge and the Zavikon Islands which are said to be home to the world’s smallest international bridge! 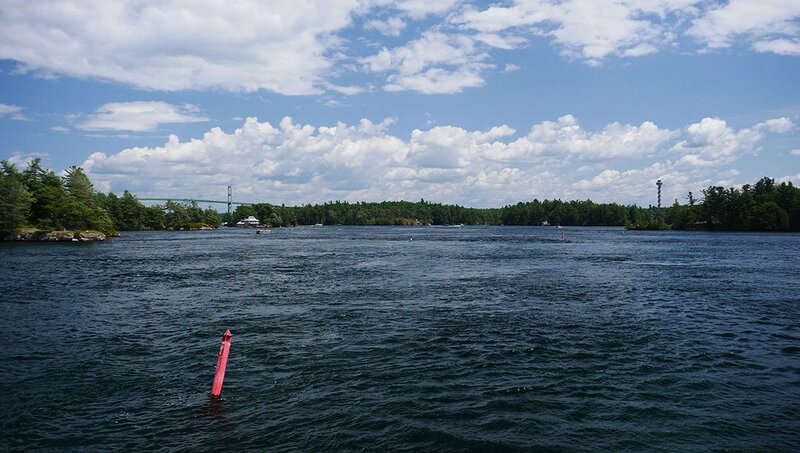 No matter how many times we take to the waters of the St. Lawrence River, I never grow tired of it. I feel the same spark of excitement that I did when I was just a little kid. In fact, I’m kind of envious of the Captains and crews of Gananoque Boat Line’s impressive fleet. This is just another day in the office for them! As our ship made its way along our course, we were passed by several other people who were out enjoying the river. Some were ripping by on jet-skis, others puttered along in houseboats. We were also greeted by another Gananoque tour boat as it sliced through the water off our port bow. I almost squealed in excitement when they sounded their horns at one another. Each making an enormous HONNNNNK! That announced each vessels greeting to the other. 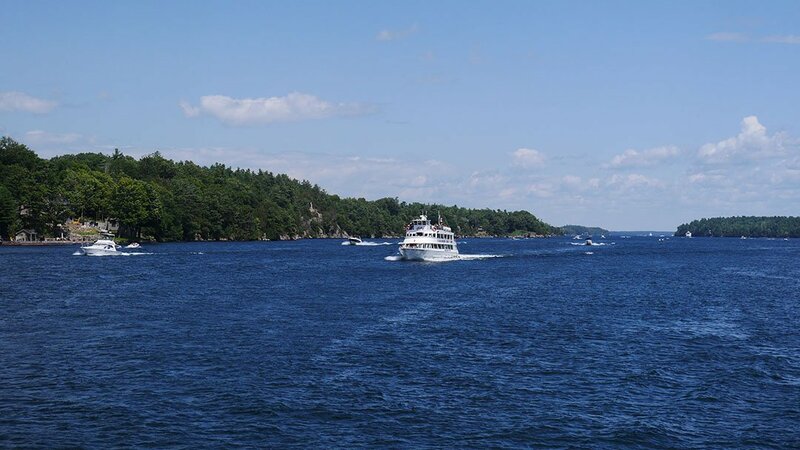 The passengers all waved to one another from ship to ship – unifying their shared enjoyment of a scenic summer cruise amid the spectacular views provided by the mighty river. I always feel a bit sentimental when cruising the St. Lawrence River. So many happy memories of visiting with family and friends. 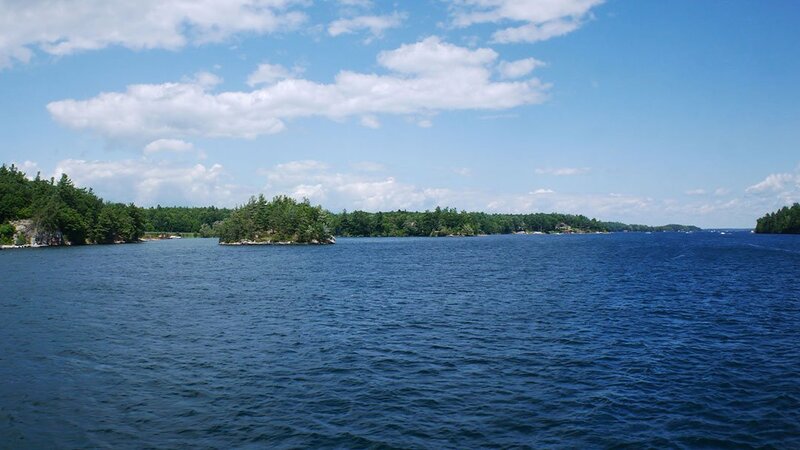 Fishing, camping, house boating – and even set out on several cruises with Gananoque Boat Line as early as my childhood. While some of those family members are no longer here to enjoy the view, when I’m staring out at that river, and feel the wind in my face – they’re standing right there with me. Always gets me right in the #feels. 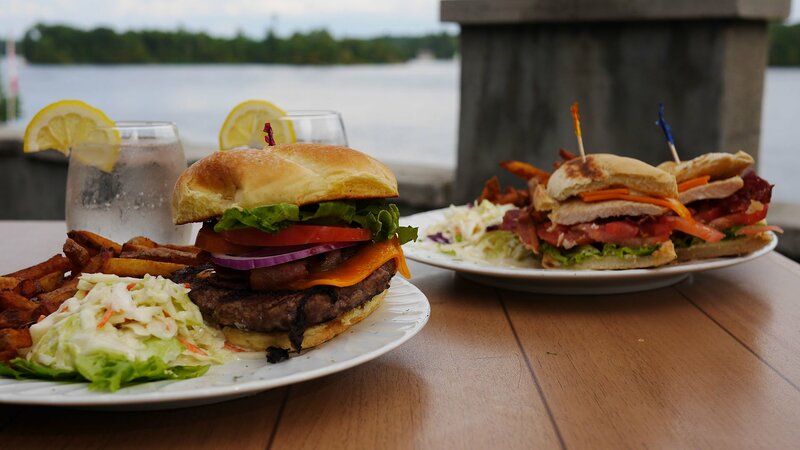 Once we returned from our fantastic cruise through the St. Lawrence, we headed over to Donnelly’s On The River to add a delicious ending to a most amazing day spent exploring The 1000 Islands. 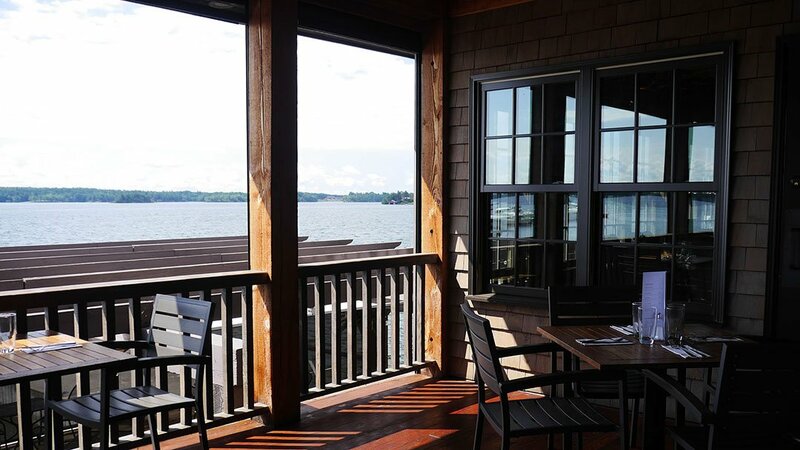 Donnelly’s is conveniently located a few steps from the cruise line’s dock in Ivy Lea, and has a great outdoor patio that wraps around the building. Once again we found ourselves relaxing and enjoying a break next to an astonishing view of the river, The 1000 Islands Tower, and the International Bridge in the background. We were certainly starting to get hungry at this point, so we quickly perused the menu before coming to a decision. 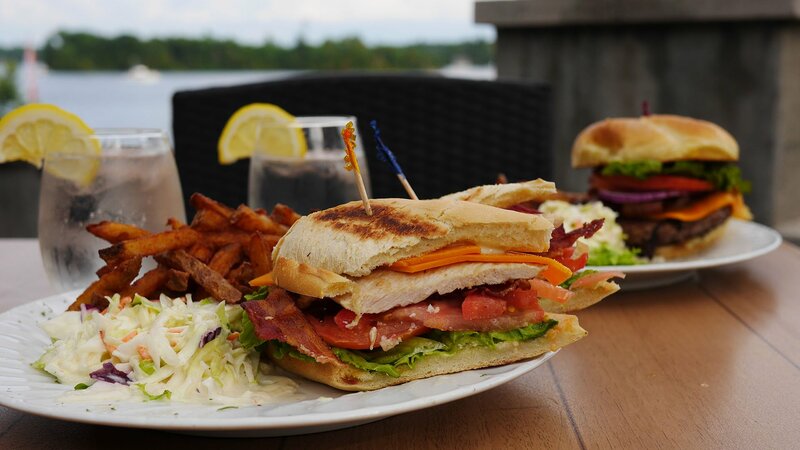 Heidi selected the 1000 Islands River Club which was a hearty sandwich stuffed with a generous amount of smoked bacon, lettuce, tomato a succulently grilled chicken breast. When I read the description of The Canadian Burger, it was love at first sight. 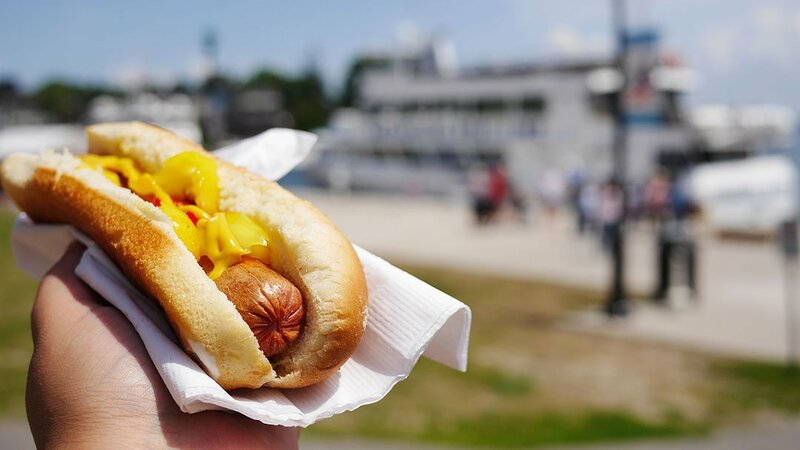 This puppy came topped with melted cheddar, red onion, peameal (Canadian) bacon, lettuce, tomato and 1000 Island Dressing – a signature local dish that is one of the most famous flavours on the planet. Yes, please! 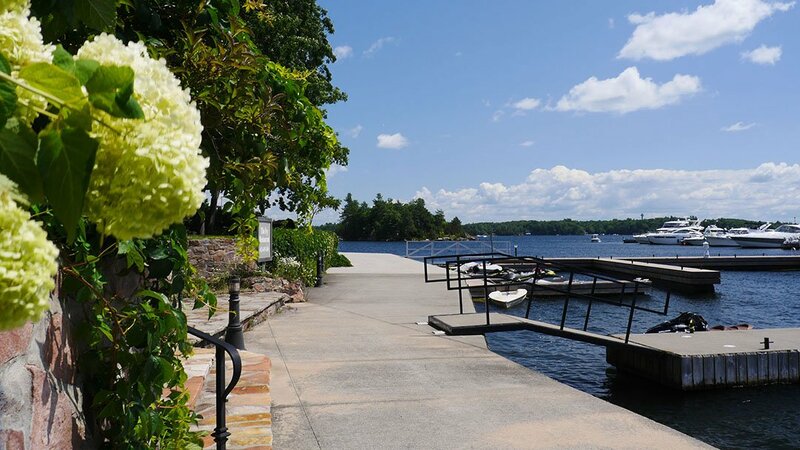 There’s no Right or Wrong Way to Explore Gananoque! Wow. 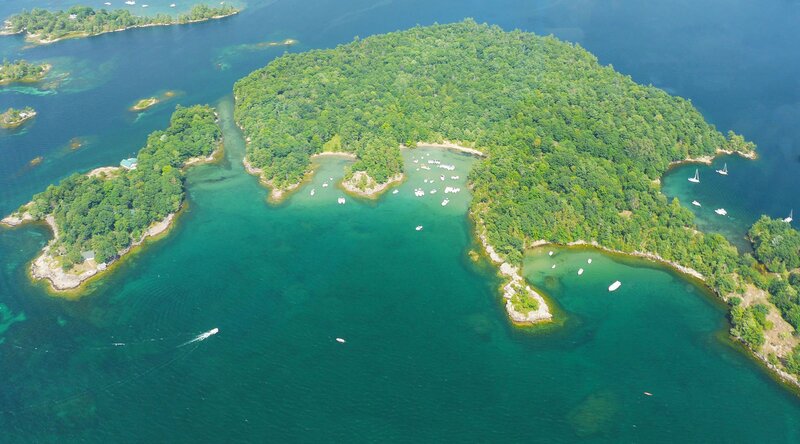 What a mind-blowing way to appreciate the sheer beauty and magnitude of The 1000 Islands! Throughout this amazing day-trip, we were able to embark on an unforgettable experience that touched on all senses. 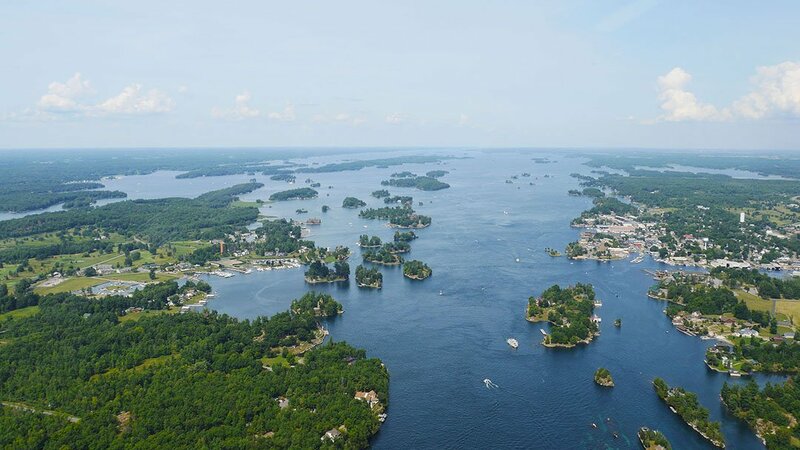 No matter what way you go about it – there are infinite ways to explore Gananoque and the world-famous 1000 Islands! Sounds fascinating! I love traveling discovering new places and love nature but never thought visiting here! It looks breathtaking! We are family of 5 our kids are 3yrs to 9yrs old would this be a place for us to visit? Sounds interesting. How much for four seniors?